Cayley Primary School were in the middle of an exciting big new-build and the school felt Year 6 deserved a special treat to make up for the disruptions to their year. 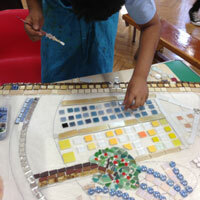 Artyface was asked to come in and work with the pupils at the end of term to make a mosaiced school sign for the new-look playground. 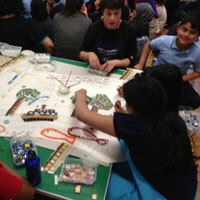 It was crucial that the design was by the pupils, and that the sign included the school logo, the River Thames and local London buildings, as well as the school motto, Explore, Excite, Excel. 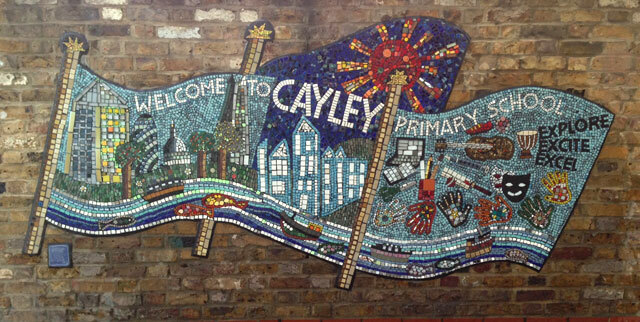 They wanted 'Welcome to Cayley Primary School' too. 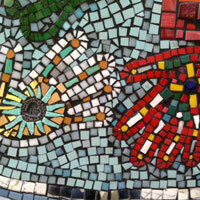 The design was created by the pupils and the only additions were a few of the symbols that represent all the activities that take place in the school: drama, sport, ICT, music, art, literacy and maths, as well as the multi-coloured and decorative hands that represent the pupils. 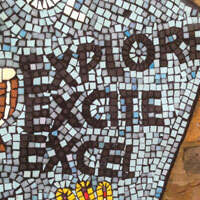 "What a fantastic experience to be part of the mosaic and year 6 legacy. 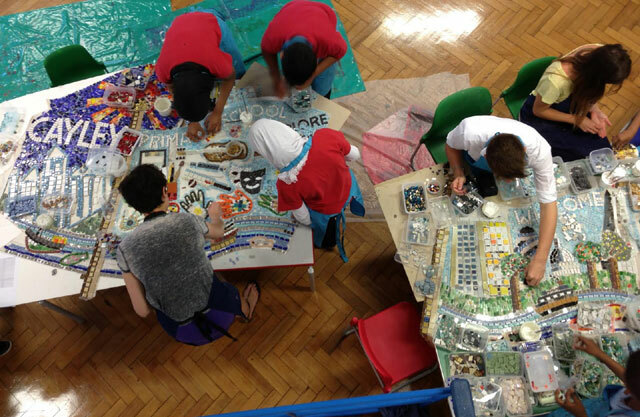 As an Artsmark Gold school, Cayley Primary promotes leadership through the arts and the mosaic project with Artyface supported this. 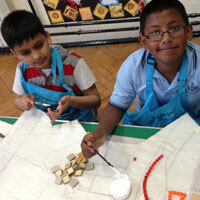 Children created a designs which represented their school and their ideas were combined to form the design. 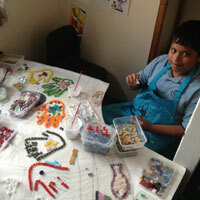 The process was differentiated and all children were included in the project. As an Art TLR it was a pleasure to work with Maud and her team. She was able to explain the process clearly and her team were flexible to work around the school's needs. 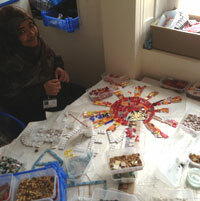 I am not sure who enjoyed the project more - staff or children." 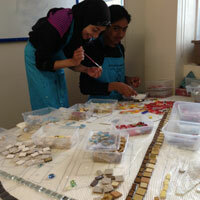 "The mosaic project was engaging and inclusive to all children. The project gave the year 6 children the opportunity to be proactive in establishing their own meaningful legacy to the school. Pupil voice was at the heart of this project and it was wonderful for the children to make design decisions and to see their initial design ideas used collaboratively, this really reinforced the teambuilding ethos of the project." 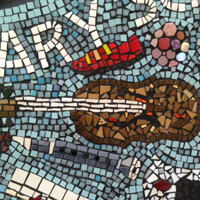 "It was very exciting for pupils and staff to be working on the mosaic. Whilst having fun, we all acquired a new skill and it was valuable CPD. 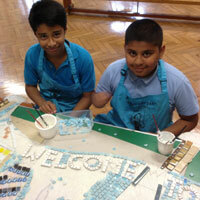 We love our marvellous new welcome sign." 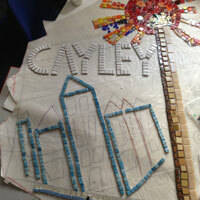 "The beautiful Cayley mosaic is a piecing together of the exploration, excitement and excellence of our Cayley community. It provided a fantastic opportunity for the children leaving Cayley to be involved in the legacy of the expansion of the school in 2013." 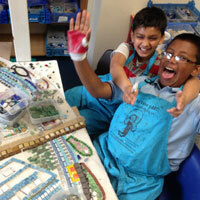 "My time here at Cayley was amazing and special. I was really sad to leave. 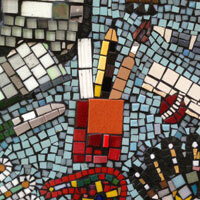 Making the mosaic was a good way to leave a lasting memory. 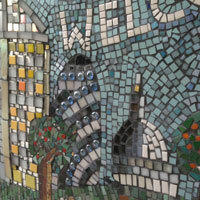 I feel proud to know that in years to come, people will look back at this work." 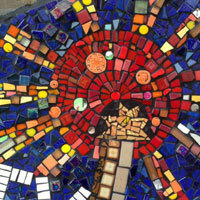 "It was really nice to see how Cayley is looking with the mosaic, that we took part in making, up on the school wall for everyone to see."